A bathroom doesn’t have to be huge to be in vogue with its style and function. Bathrooms are a personal retreat for most of us. It is a personal spa where you unwind and relax. When you are making a bathroom, you are creating your personal space. Every minute detail has to be taken care of and needs to be integrated cautiously meeting the practical bathing needs. Whether it’s a weeny powder room or a shower stall with hardly enough room to scrub, an uncouth bathroom can easily handicap your style. Small bathrooms can be a design and a decorating challenge, but with the right combination of fixtures, surfaces, colors, décor, and lighting, it is possible to create the illusion of a much larger space. There’s no need to keep a small bathroom ordinary and basic. Clever storage will prevent cluttered spaces and sustain a feeling of space and sophistication. A small bathroom can be chic and practical. You can inject personalities with a few interesting accessories. Bracing a bathroom can be as simple as swapping out a faucet or light fixture, wallpapering, or even adding drapes. Snap through the latest bathroom trends guaranteed to turn your stretch into a chic retreat. The lighting in any bathroom is important. However, in a small bathroom, the darker it is, the smaller it feels. Irrespective of the size, a bathroom should always feel bright and open. 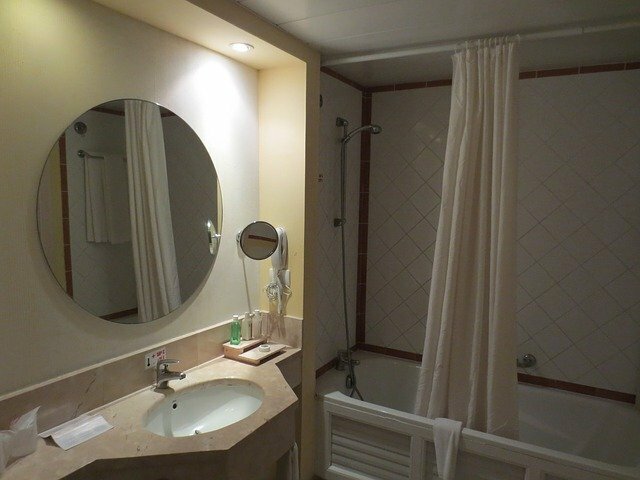 One of the first doctrines of small bathrooms is to consider color and light. A washroom or any space will seem larger if it’s lighter and brighter. You can take full advantage of any natural light available in your small bathroom. Mostly lighting a bathroom is low on a priority list compared to the other rooms in the house. Proper lighting is essential in making the most of the space. While installing lights in small bathrooms, it is important to create a lighting arrangement that illuminates the whole space but doesn’t subdue the room, making it feel smaller. The key is to move away from traditional bathroom lighting like vanity lights and focus on bathroom light fixtures that will maximize the space for both lighting and design. Vanity lighting is often overlooked, as the space located around the mirror is limited. The vanity is usually illuminated by the light from the ceiling, which results in unwanted shadows and splotchy lighting. An ideal way to create bright lighting for vanity is to install a lighted mirror. Lighted mirrors are practical solutions for small spaces, combining the mirror and lighting into one. These mirrors are available in a range of shapes and sizes, these modern bathroom fixtures feature a traditional mirror surrounded by lights. Mirrors should be as large as possible, as they give a greater sense of depth and dimension just like the mirrored tiles. The new gold tone twist is a perfect complement to the cooler gray paint colors that have become tremendously fashionable in recent years. The wooden flooring adds just the right amount of depth, dimension and a sense of luxury to your personal space. 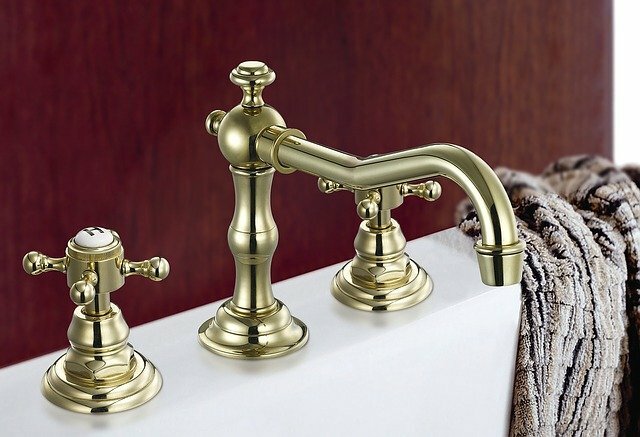 If you want to revamp your washroom, which has a totally functional layout and you feel the need to upgrade it, you can add a sense of new to your bathroom in case you got bored with the same-old stainless-steel faucets and fixtures, you could use the trendy gold toned fixtures and faucets with a custom brass finish. They really stand out and create an interesting contrast without overpowering the washroom. You can also mix them with stainless steel, and they work wonders together. After all, gold is chic and trendy when combined with right design elements. Bathrooms are being treated like any other room, so you can use your wall art portraits that you usually use in your living room or a bedroom. We can make the maximum of small spaces available, bathrooms are no exception. Out of concern for humidity, bathrooms can fall short when it comes to personalization with art. Dampness can be a concern in a bathroom, but it is never a hindrance for framed artwork. By breaking the rule, you create an unexpected look with lots of added character. 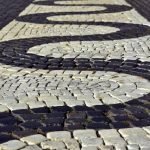 Thrill your walls with the latest art work-The right print can actually take all the attention away from senior tiles or out dated bench tops, or even add personality to an all-white room. There’s something exceptionally fun about choosing art for a bath; you can choose from vintage art, go for a little washroom humor or maybe find a piece that will inspire a whole new color palette. Purple can look totally exceptional in a bathroom, whether on mosaic tiles, a freestanding bath or a patterned wallpaper work beautifully with a pale green, used on wall paneling, bringing a summery feel to this bright, light washroom. 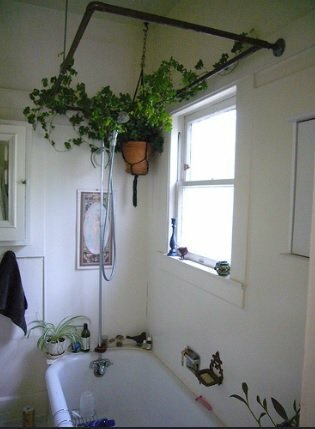 Bathroom plants are not just for ornamenting the bathroom. They absorb air pollutants emitted by household stuff like cooking fuel and detergents. The most popular bathroom plants are spider plant, peace lily, and aloe vera which remove carbon monoxide, benzene and formaldehyde from the air. Whether you own a ritzy bath space or a tiny utilitarian in an apartment, adding a few green spots with plants in your washroom will make your bathroom space feel fresh and appealing. It is light on your pocket and simple enough to manage. Bathroom plants enhance your well-being by reducing stress and absorbing harmful pollutants. Furniture’s and accessories are another fundamental aspects of visually treating your personal space. Incorporating minimal furniture to allow a good circulation of air and wider view of the floor space, walls give your washroom an edge. Furthermore, to achieve a contemporary look, the furniture must be kept simple with basic lines and designs. 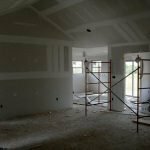 This will also fabricate a larger space since the furniture and accessories overloaded with details create a cluttered effect. Every design element must have a purpose and be functional in some way or the other to prompt a space-saving retreat. When it’s time to dye your bathroom walls, plan your palette. Painting a wall an accent color takes time. Use neutral colors to make your bathroom feel calm and aesthetically pleasing. Utilize textures and patterns in neutral tones to add creativity and depth. There are various creative ways to combine a neutral style with a relaxing organic accent. You can have your bathroom wall covered in leaf-like mosaic or some nature inspired wallpaper design. There are endless bathroom organic design ideas you can borrow to engender your new bathroom. 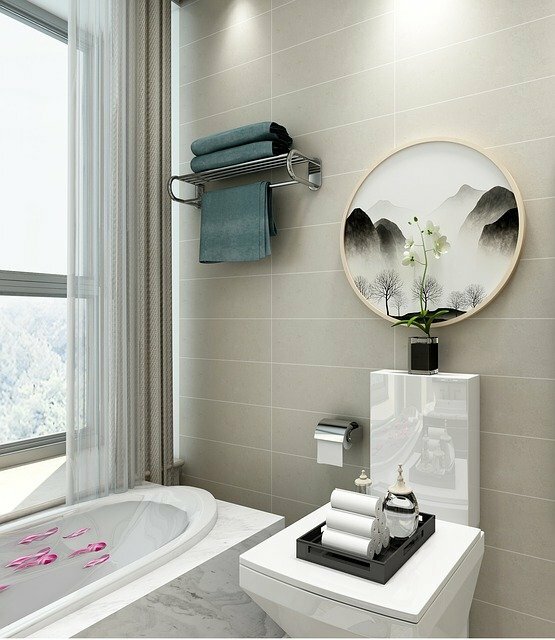 The 2018 bathroom interior design trend will be towards small bathrooms with a focus on efficiency, functionality and small-scale luxury. Smaller but artfully designed toilets and smaller but uniquely designed sink bowls have begun to make their presence sensational. Recently people have realized that smaller bathrooms can be lavish. 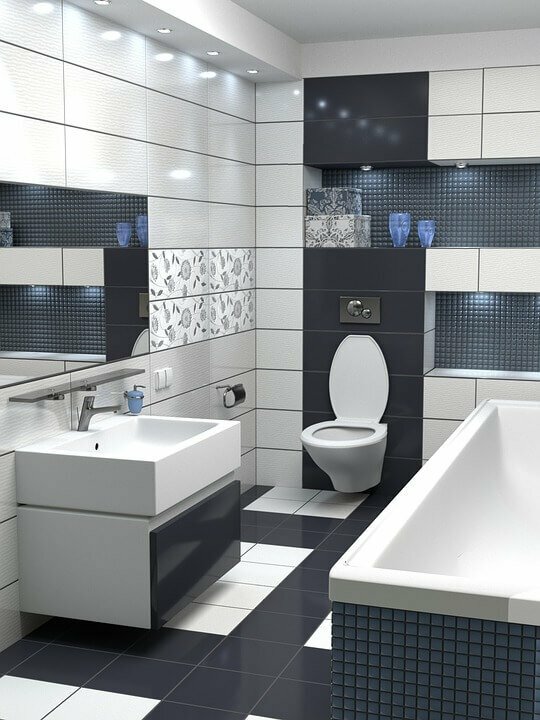 The paradox in making a small bathroom comfortable and unobstructed is the efficient use of the available floor space. In 2015, The Reclaimed Flooring Company has been honored with the Green Hero Award created by Kevin McCloud and Grand Designs to distinguish creative innovation through sustainable practices. While also in the same year honored as finalists for the London Build Expo 2015 Supplier of the Year Award and finalists for The Family Business of The Year award at the prestigious North West Business of The Year Awards.